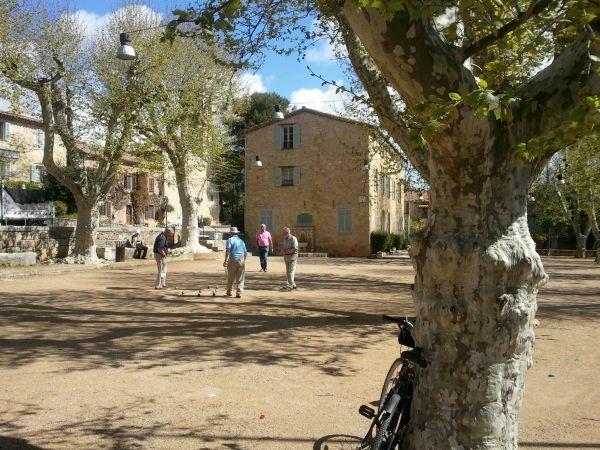 Pétanque, or boules as it is more commonly known out of France, is practically a provençal institution. It’s an iconic French ball game played on just about any dusty, gritty surface, at any time of year. It’s common to see people having a quick game in a motorway “aire” (rest/picnic stop) to break their journey, or by the side of the road while having a picnic. It is played throughout France but it is most commonly associated with the south having been invented in La Ciotat, near Marseilles. 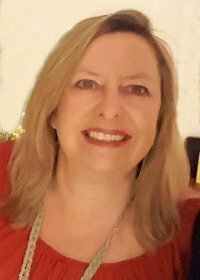 For me it is quintessentially provençal and before I moved to the south no matter where we played, whether in a dusty square in Paris, a windswept beach in Brittany, on a track between the vines in Burgundy, or in a friend’s garden it always made me feel summery, like I was on holiday in Provence. I love the clinking sound as the heavy metal balls strike each other and the enthusiasm and camaraderie of the players. 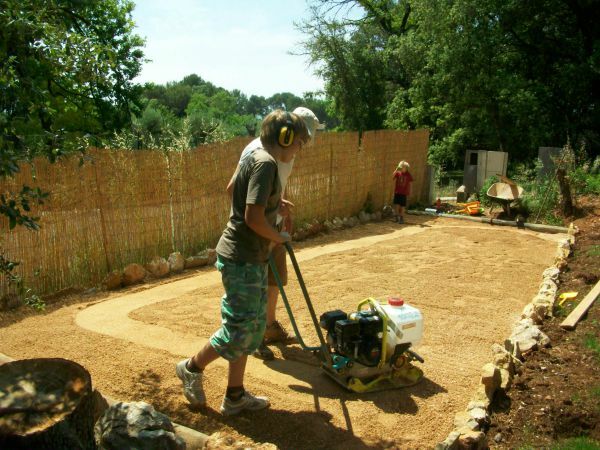 Now I’m lucky enough to live in “summer holiday land” we’re surrounded by lovely places to play and we even have a terrain de boules, or pétanque pitch, in the garden at Lou Messugo which my “boules boy” (JF) built himself. It has been the venue for many a heated game. 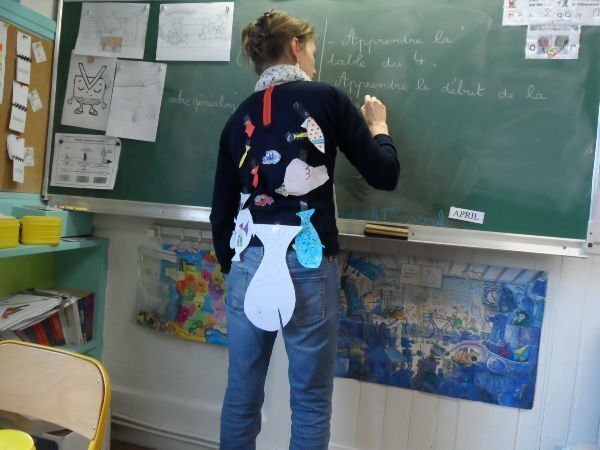 I can’t count the number of times he has gambled away our house, or car or even one of the kids in a battle lost after too many pastis late at night. He can play for hours with his friends but never seems to win. Luckily they have yet to hold him to his bets and we still have the house, the car and both children! 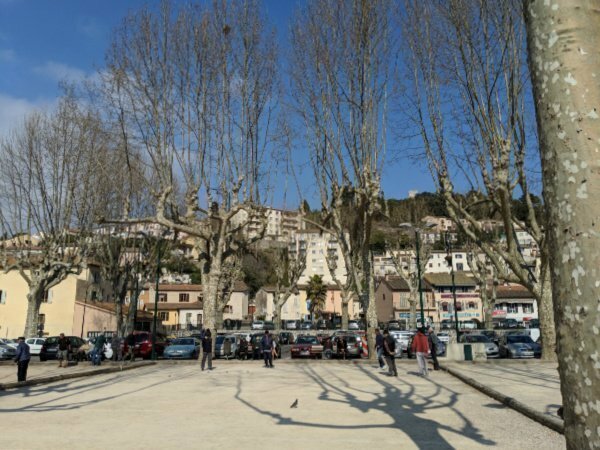 Perhaps the most iconic terrain de boules in France (hotly contested by the Place des Lices in St Tropez) is twenty minutes from us in St Paul de Vence. 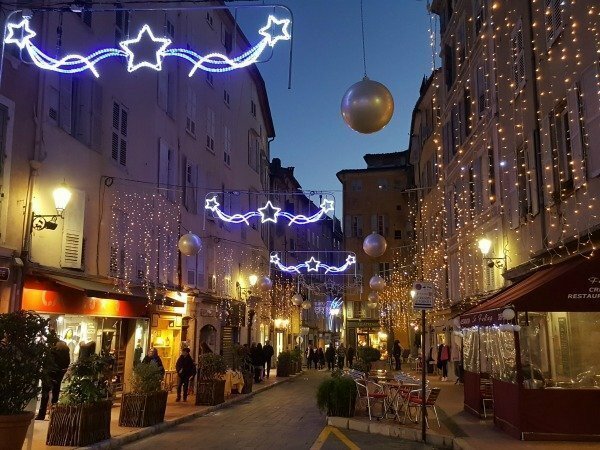 It is a prestigious place to play, frequented by celebrities, locals and tourists alike and made famous by its association with Yves Montand, Lino Ventura and Fernandel who used to play here. It is here that you can find a most unusual mascot. Pétanque is played to 13 points and if a player loses shamefully without having scored at all, 0-13, he or she has to “faire Fanny” or “kiss Fanny” to the jeers (albeit lighthearted and humorous jeers) of the winners. 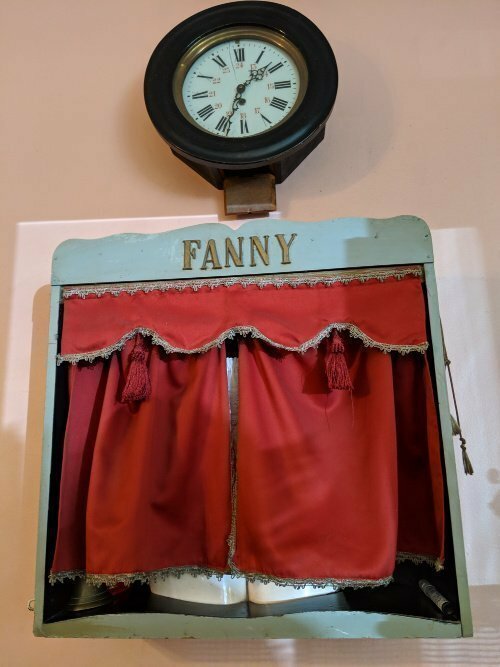 Fanny is usually a puppet kept in the clubhouse but in St Paul it is a sculpture of a pair of buttocks in white frilly knickers behind a curtain created by the renowned French sculptor César. (You can catch a tantalising peek in the photo below). It is on a wall in the Café de la Place next to the boules pitch, so what better way to end a visit to St Paul than by sipping an apéro (pastis, naturally) on the café’s terrace while watching the boules and taking a peek at France’s most famous “Fanny”. It is possible to hire balls and take lessons here (information and enrollment at the Tourist Office in St Paul). Every village or town in the area has a terrain de boules, most of which are picturesque, lined with plane trees and reeking atmosphere. (Villeneuve-Loubet pitch in winter below). 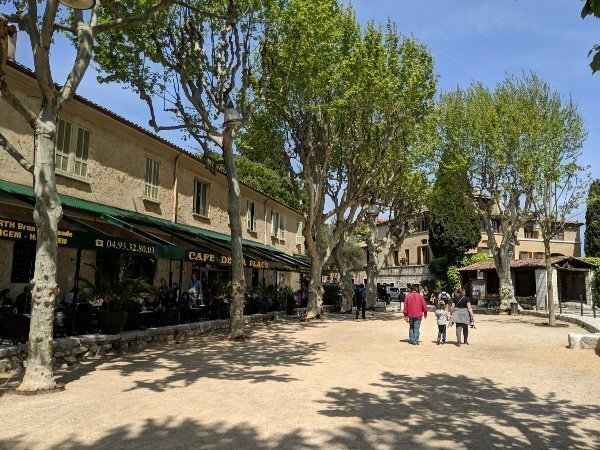 But for a completely different take on the traditional game head to Haut-de-Cagnes, the medieval hill village in the centre of Cagnes sur Mer (20 minutes from Lou Messugo). 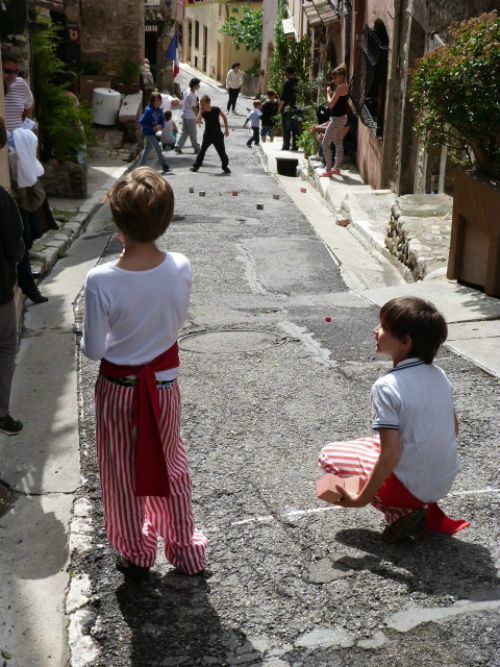 Here they play “Square Boules” – yes, pétanque with square “balls”! The streets are too steep to play regular boules so in 1980 a member of the local club invented a variant with balls that wouldn’t roll. Eh voilà! Pétanque carrée! It is played in two streets, both uphill and down and even has a World Championship around 25th August every year. Pétanque players certainly have a sense of humour. 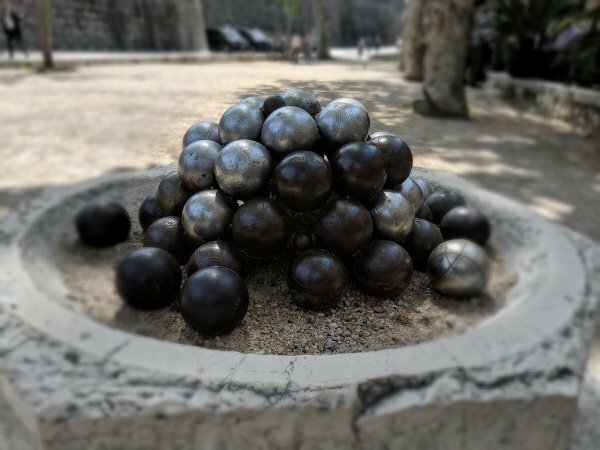 For new converts to the game or aficionados who want more information and a place to buy genuine balls there’s a small museum, le Musée de la Pétanque, in Vallauris. Housed in one of the factories that produces the most well-known balls “OBUT” this little museum shows the history of the game, how the balls are made and lets you try out different styles on their own terrain. 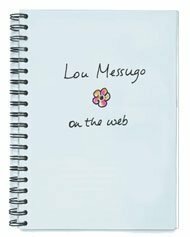 It is only 25 minutes from Lou Messugo. 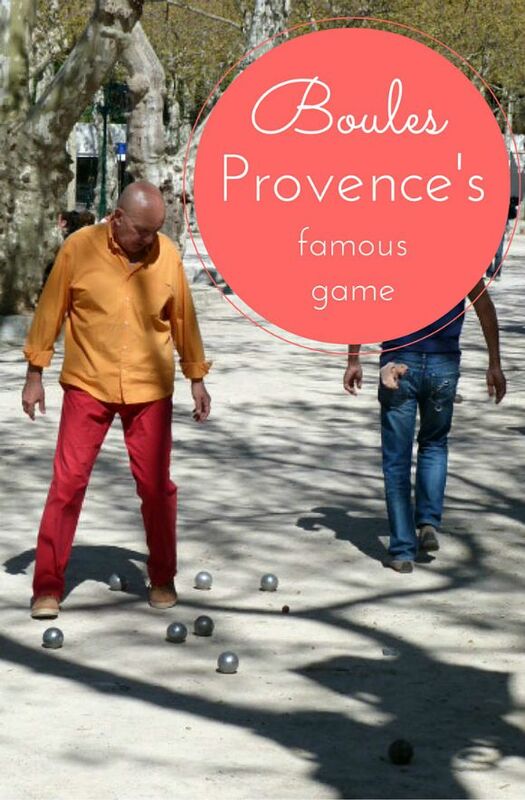 The balls make a great souvenir of Provence and it really is a fun game, perfect for all ages. 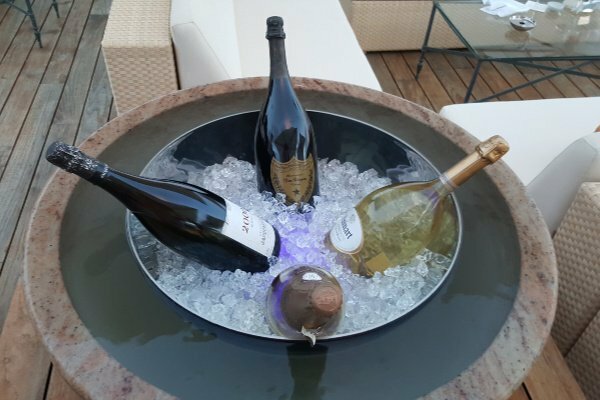 In the words of one of our guests, Matt from Montreal, “Thanks especially for the use of your boules set – I think I’ve found a new passion”. Have you ever played boules? Or a game like it? If you enjoyed this, why not PIN it! This post was originally published in April 2012 as one of my first ever blog posts. I’ve updated it for a new audience. 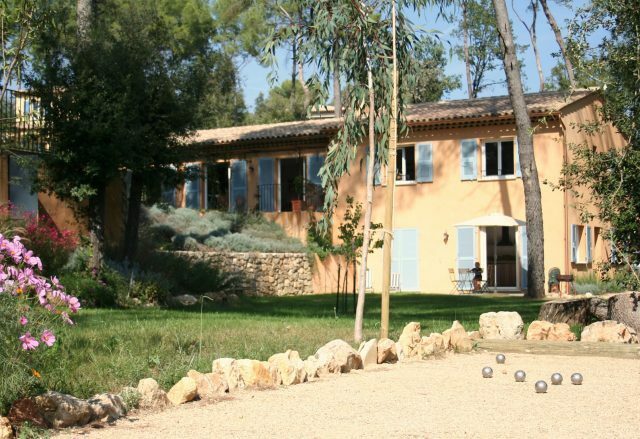 One day I will have to visit and have a game of boules! It made me smile reading this (and giggle a little at kissing the ‘fanny’ 😂 ) and makes me think of hot summers spent in France. Ah the nostalgia! Watching boules while eating ice cream on summer evenings is such a lovely way to remember southern France. There is something about the light that filters through the leaves on the plane trees (along with the satisfying sound of “clink” of the metal balls that you mention) that is just so wonderful. Thanks for the history and tips on good spots to hit! My pleasure Rachel. Let’s hope we can play a game together this summer. Love playing an informed game of boule in Lou Messugo and the surrounding villages under your and JF’s tutelage and, it’s safer than rounders! You don’t need as much space as rounders either! Reminds me of summer holidays a very long time ago. Can’t wait to play on the Lou Messugo pitch again.